These generously-sized recycled stock totes from Custom Grocery Bags give customers the ability to carry a large number of items with no hassle. 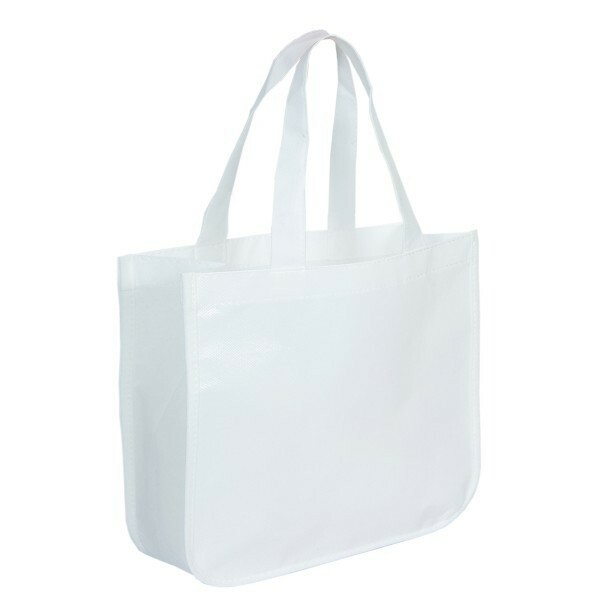 Thick, laminated non-woven polypropylene material is recycled, durable, and easy to clean, giving your customers a product that they can use for years to come. 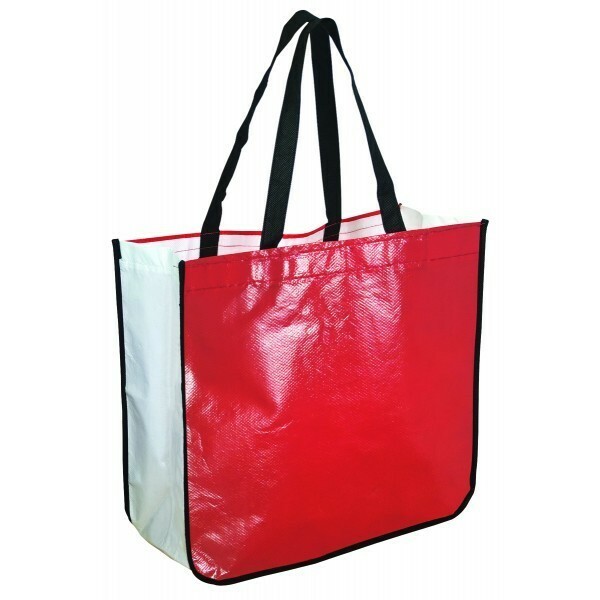 Reinforced accent handles and interior water bottle holder bring uniqueness to this product. 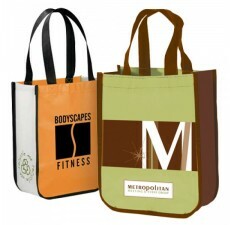 Fully customize these recycled stock totes with your choice of colors, as well as your own unique logo for brand awareness. 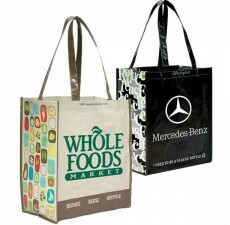 These versatile bags are great for more than just shopping, as the laminated material makes them wear-and tear-resistant and easy to clean. 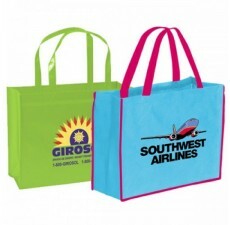 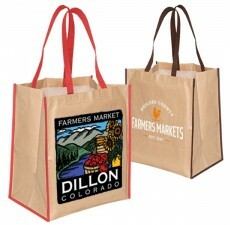 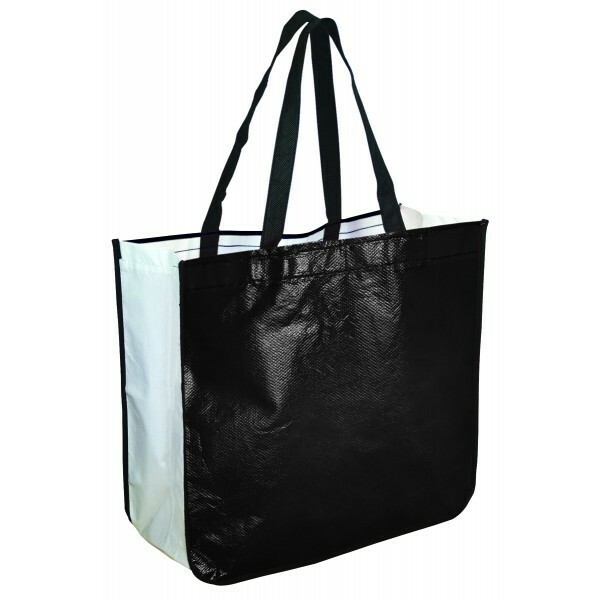 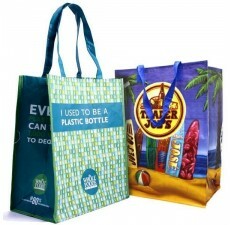 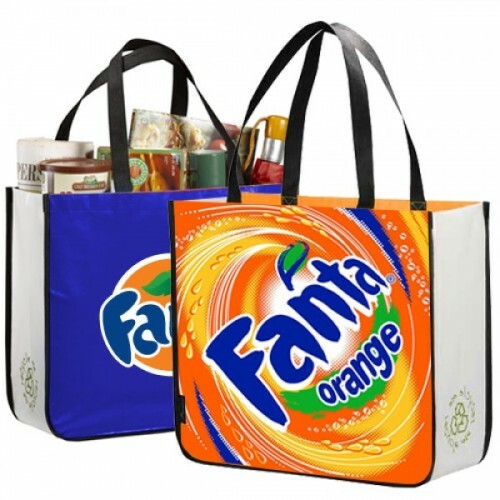 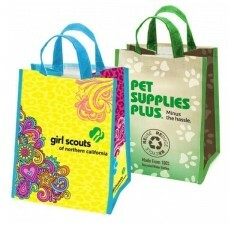 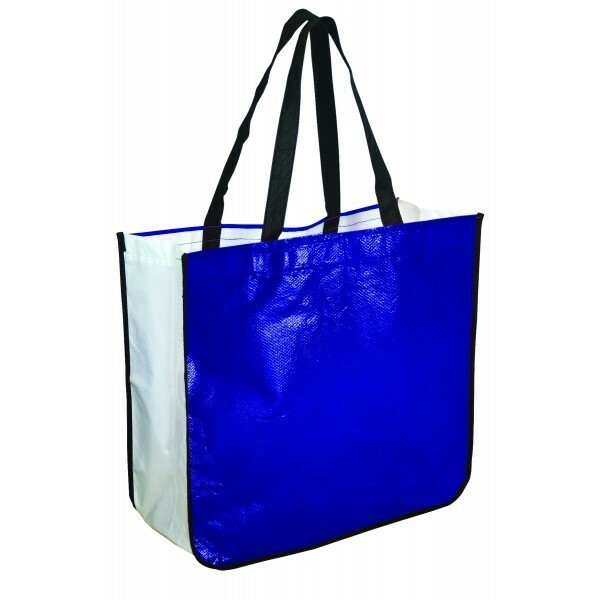 For questions about customization, contact Custom Grocery Bags today. Size: 13" x 7" x 15"